Cross your heart. 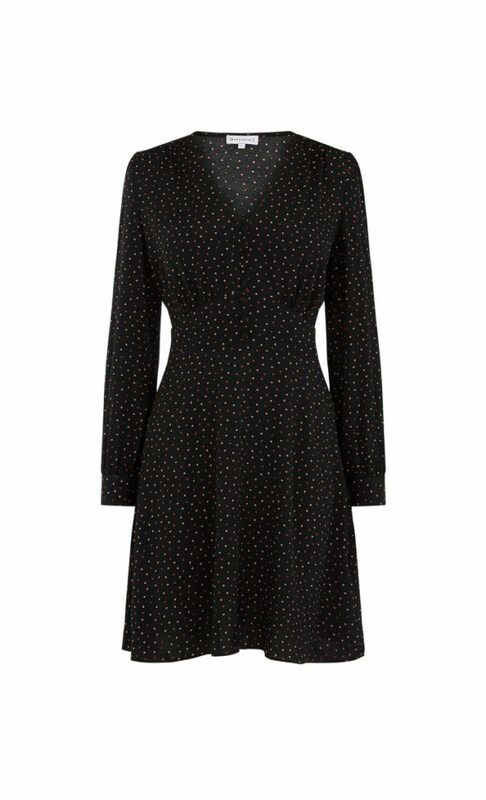 This tea dress has a V-shaped neckline, long sleeves and a fitted waist. Plus, a heart print to fall in love with.